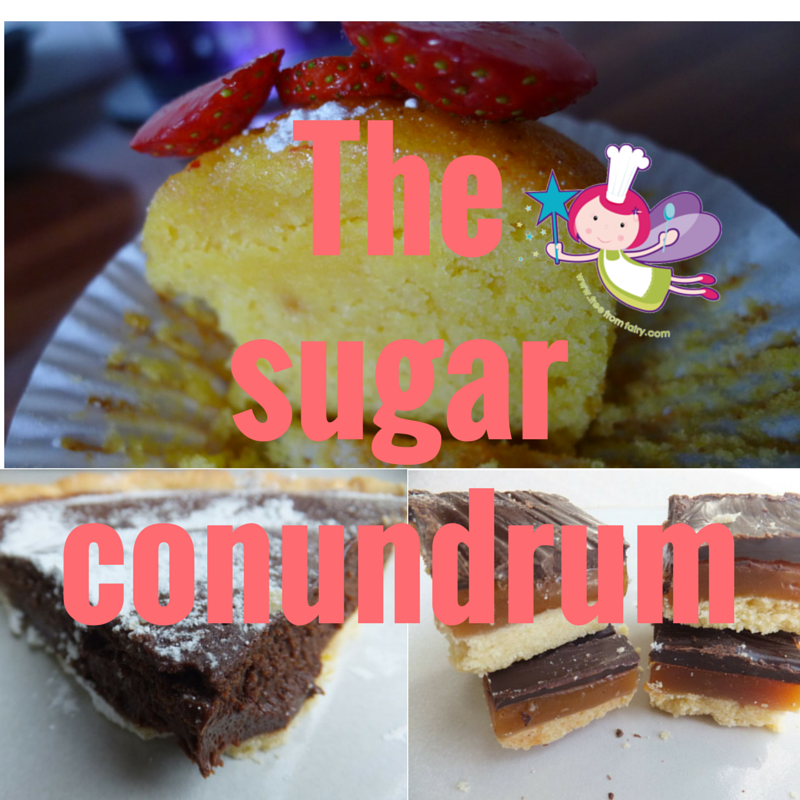 The Sugar Conundrum | The Free From Fairy. We all like sugar, right? Well, the vast majority of us do anyway, and having just had Easter I am sure most people have eaten their fair share of it. But we are also being told day after day that it is making us sick; that it is the cause of obesity, diabetes, heart disease and other undesirable ills of the twenty first century. Give it up…like the crazy person that I am? Reduce our intake…yes, but how easy is it to do that when it is so addictive? I know that although I can reduce my intake for a while, it slowly starts to creep back up again and before I know it I am eating way too much again! Perhaps we should all shun the white stuff in favour of all those alternatives popping up on the market that claim to be healthy? Dr Robert Lustig (presenter of Sugar: The Bitter Truth) has called for a tax on sugar similar to that placed on alcohol and tobacco because of what he calls its ‘toxic nature’. The United Nations’ public health arm recently recommended that people reduce their daily intake of sugars to 6 to 12 teaspoons per day. It added that curtailing sugar to less than 5 percent of calories consumed “would provide additional health benefits” and help prevent diseases such as diabetes and heart disease. The guidelines apply to foods and beverages with added sugars, not to those with naturally occurring sugars such as fruits, vegetables and milk. With all of this information I have been troubled by sugar for quite some time and have therefore spent a considerable amount of time reading about it and its alternatives. I have even offended other bloggers by my constant questioning of their sugar/sugar alternative choices…sorry! 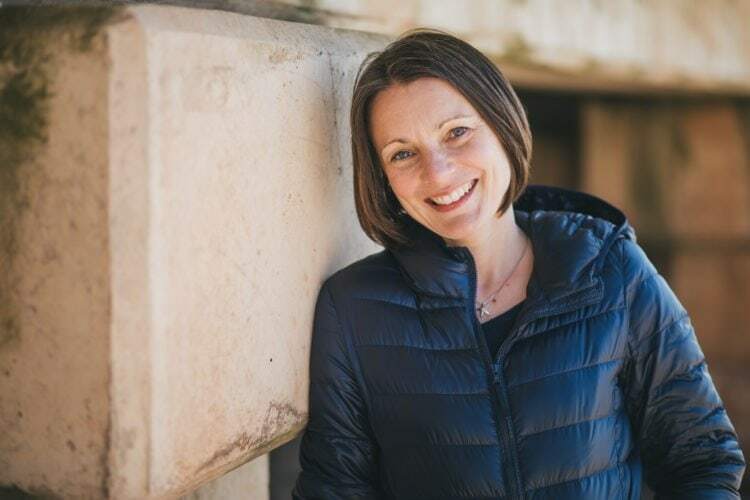 If you know about Sarah Wilson of I Quit Sugar fame, then you will know that her sweetener of choice is stevia. I was pretty intrigued about the stuff since it is said to be up to 200 times sweeter than table sugar, contains no calories, does not raise blood sugar levels, does not cause tooth decay and comes from a plant (and is therefore a natural sugar). The main documented downside is that it can be pretty bitter and is therefore often mixed with other sweeteners and chemically processed to produce a less-than beneficial product. It would seem that when buying stevia you have to take a good look at the ingredients to check there are no added sugars or highly processed items. There are mixed views on whether those with candida can safely eat it. Because it is often packaged with other things you are advised to be cautious, and interestingly, Elaine Gottschall, who wrote ‘Breaking the Vicious Cycle‘ outlining the specific carbohydrate diet (SCD), does not recommend consuming stevia. So, I guess although it has been used extensively in Japan for numerous years, there are few studies out there on the long term impacts on humans, and being on the SCD it is not an option for me. Another natural sugar alternative, a ‘sugar alcohol’ that seems to be cropping up more and more is erythritol. Again I have done a fair bit of research on this and found that it too does not cause tooth decay (can even possibly prevent it), has 6% of the calories of sugar yet 70% of the sweetness, does not have an affect on blood sugar levels and unlike other sugar alcohols (like xylitol, sorbitol and maltitol), does not cause digestive issues since it is absorbed into the body before reaching the colon. In addition, studies have shown that erythritol is resistant to fermentation by a range of microbiota from human guts which is why it is less likely to cause bloating or gas than other sugar alcohols. Having said that I have also read that the ‘bad bacteria’ that may be lurking in our guts can digest erythritol and it is therefore no good for people like me who have issues with an imbalanced microbiota! Gut bacteria aside, these alternatives to sugar sound pretty good don’t they? Well, I have read at least one report that the very fact that blood sugar levels are not raised by these sugar alternatives can cause problems in itself. It is suggested that since your body is expecting sugar in the system (because you have eaten something that tastes sweet), insulin is released…and then is not required because no sugar enters the blood stream, leaving insulin running free in your blood, potentially leading to hypoglycaemia. OK, well what about things like coconut sugar, dates, honey, agarve and maple syrup? How often do you see them cropping up in recipes that claim to be healthy and sugar-free? All the time so they must be good right? Well all of them are sugars and many contain more fructose (the part of table sugar that is considered to be the problem) than table sugar. They still impact on our bodies in the same way as sugar, but may contain a few additional nutrients that are most definitely not contained within table sugar. Some would therefore prefer to include these sweeteners in their diet as opposed to processed sugar, but at the end of the day…they are sugars! The Specific Carbohydrate Diet that I am currently following does not allow any sugar apart from that naturally found in fruit, and honey. The reason for allowing honey is because it is a monosaccharide and therefore easy for the body to digest. It also happens to be sweeter than table sugar therefore meaning that you need less of it. In my bid to try and help my family to be more healthy I have tried out many things. I have cut back on the fruit intake of the family; I have tried out sugar alternatives and I have reduced the amount of refined sugar in all my recent recipes. And what conclusion have I drawn? That all sugar is bad, in whatever form, if eaten in excess along with other unhealthy foods. Well, it means that if you eat a balanced, healthy diet, a little bit of sugar here and there as a treat is OK…it is just having the discipline to keep that sugar to a minimum that is the hard part! Having not had any sugar for over month I can safely say that I actually no longer crave it which is a position that I never thought I would get to. For me, it is all or nothing. If I don’t have it at all it is a lot easier than having a little. And eating a low carb diet also means that I crave it less since I guess my blood sugar levels are more even throughout the day. So, to conclude, there are many sugar alternatives on the market that are possibly better than eating pure refined sugar…but perhaps rather than find sweet alternatives, we should just be cutting our desire for sweet things all together? What are your views on sugar? Have you ever tried to cut back or cut it out of your diet? What is your sweetener of choice and why? « Gluten-free Longleat & A Video! ooh you’ve mentioned one of my blogger niggles – ” sugar-free” recipes. It’s so frustrating to click on a “sugar-free” recipe only to find they have used all sorts of high sugar alternatives. As I calculate the sugar content of all my recipes I’ve got a pretty good idea how much is in each ingredient but a lot of people won’t realise. It’s very misleading to people trying to follow a low sugar diet and also leads them to believe that some of those ingredients aren’t “sugar” meaning they may eat more of them in future. It’s interesting to read that you no longer crave sugar. I know I currently eat too much and need to cut down but I find it difficult. I think I need to motivate myself to cut it out for a while but I can’t bring myself to start. Any tips for dealing with the first few days? Hi Charlotte, I was the same at first. Although I knew I needed to cut it out I resisted for months and months (and that was despite having associated health issues)! In the end, once my decision was made I stuck to it and felt a lot happier. Getting to the point of taking action takes time! Try one step at a time…cut out one food item that contains sugar and each week cut another one. It will make the transition so much easier and the ‘detox’ less painful…because I can guarantee that you will have some kind of negative response if you just cut sugar overnight. Make the decision…tell people about it (use your blog…then the ‘world’ knows and there is no wriggle room!! )…and stick to it. Make sure you have friends and family who support you too! Good luck! The problem isn’t really the sugar you put in your tea (unless you’re having 10 cups a day of course 😉 ) or if you eat a slice of cake with sugar in a couple of times a week; the problem is the “hidden” sugars they add to pre-packaged foods. So really as long as you eat fresh foods as often as you can you’ll be okay. Some sugar is fine. As you said: moderation is the key. Absolutely agree! People don’t even know how much sugar they are consuming because it is in so many savoury items that they wouldn’t even consider should contain sugar. It is very easy to go over the recommended sugar quota by eating processed foods. 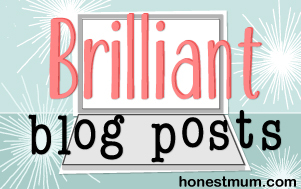 Fantastic post Vicki, and I’m so pleased to hear that one month in you’re coping much better on SCD. The first few weeks are *always* going to be the hardest, and having gone through the process myself, I’d advise anyone wanting to truly ‘quit sugar’ to properly do their research and prepare for the worst (as you did!) I’m totally and utterly with your closing paragraph, but you know that already my lovely. Also in agreement with Charlotte below. I find it offensive that there are so-called food bloggers out there who clearly don’t take their social responsibility very seriously. One of ‘the top of the charts’ ladies posted a recipe once for a cake that had 900g of sugar in it for 12 slices!! I was utterly appalled but clearly in the minority as everyone else went crazy for it. Food blogging is often about good photography, not good clean recipes and it makes me so very sad, but that’s the world we live in. Pretty wins over healthy every single time… Don’t even get me started on my folks idea of a ‘sugar free’ recipe! You probably wouldn’t approve of a few of my recipes then! I don’t have a problem with people sharing “unhealthy” recipes, I like to think that it’s up to each person what they choose to eat and there’s nothing wrong with the occasional treat. I try and mix up healthy food with more indulgent recipes as it’s a true reflection of what I eat. My hope is that by adding the nutritional breakdown as well as % of GDA readers have the information they need to choose whether to make something. Adding a nutritional breakdown is fabulous…must be very time consuming too! I have a big spreadsheet. It took a while to set up but now it doesn’t take too long as I have so many of the ingredients in it already. So so true Renee. My most popular posts are those that contain the most sugar! I feel sceptical about these sugar alternatives and feel that you are better off just cutting down on sugar, rather than trying to replace it. If I bake for my family, every recipe I use that contains sugar, I always use less than what it says and try to reduce it as much as possible without affecting the overall quality. Like you, I go sugar free mostly and don’t crave it. Now and then, when I do, I make my own things, like granola bars. I use a lovely organic raw agave nectar in them as it’s less sweet than golden syrup but it still has the desired cohesive effect. Sounds like you have a great attitude to sugar…but we are the minority I fear! I have finally managed to find a lovely local raw honey so I am very happy! I hope it will help our families seasonal allergies too! That is a great way around it Hayley. Cooking your own certainly allows you to control what you are eating. You are right, the bought products on the whole contain a lot more sugar, fat and salt than their gluten containing equivalents. I have written about that a fair bit! This is a fantastic article Vicki! Even though I knew most of the information, I know this will be of great help to others looking to reduce their sugar intake. I despair most days when I’m looking at my Facebook feed. We have cut back so much on our sugar intake that I’m absolutely fed up of the number of unhealthy recipes which are shared there, especially since I have no desire to cook anything sweet at the moment. However, I am going to be sharing a gluten free sweet recipe in a few weeks time but I have cut back on the refined sugar drastically. Being on the SCD does mean that your tastes change considerably and it’s great to hear that you have got past the craving stage! Hi Vicky, thanks for your lovely comment! When I started my blog I intended to really only post savoury healthy items. Nobody looked at it! I seem to only get traffic from my sweet recipes which is sad but true…and I therefore started sharing them too…and they now outnumber the savoury recipes. Hey ho! Yes I totally understand! It is funny though that once you make the decision and do it it isn’t so hard! The hardest part is deciding. Nutella is a nightmare but you can make similar without all the refined sugar. I must post a recipe!! Thanks for your comment Vicky! Everything in moderation. Don’t be too hard on yourself…I am having to be just because of my health issues! I’m not going to lie, I may be addicted to sugar! I have switched to Truvia for my tea, but otherwise, addicted! You are so right though, it is bad for us. When I need to drop a few pounds I cut it out of my diet and the pounds come off easily! Yes, it is so interesting. Most people do not associate sugar with weight gain still. Thanks for taking the time to comment. Good chatting to you tonight – you have inspired me to look more seriously about cutting sugar from my diet!